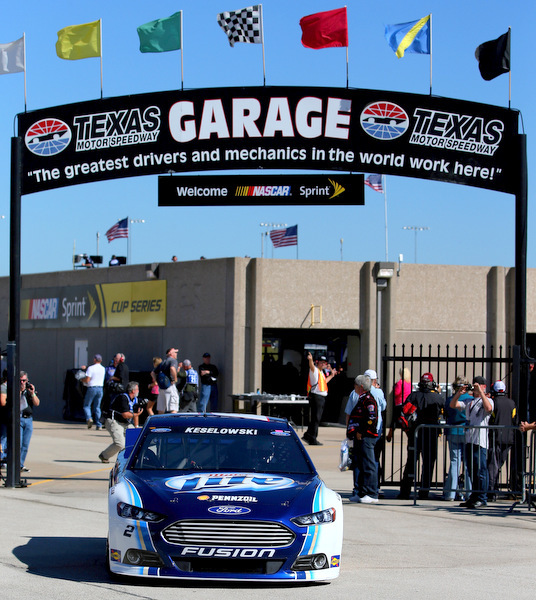 Stockers will again test that question here this weekend, with insanely fast speeds in the Texas 500, Round Eight of the 10-race championship playoffs. 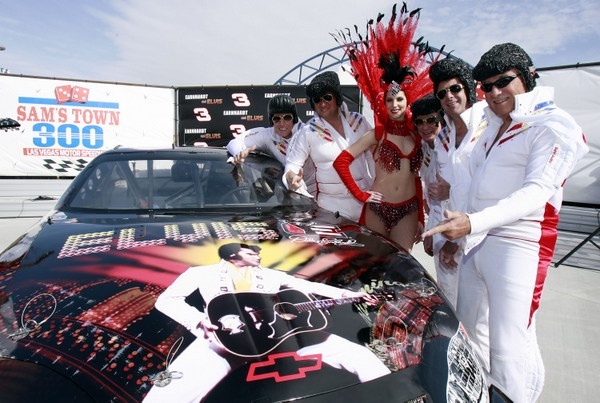 Was it here or Kansas where Jimmie Johnson described such insane speeds as "Drive it in until you see Elvis'? Three men just did the 2,804 miles in a car at an average 98 mph. Certified by tracking. With a top speed of 158 mph. The legendary Cannonball Run lives on. No rules. No sanctioning. Bring your own spotters and lawyers. Everyone leaves the Red Ball Garage at the same time, and the first one to sign in at the hotel in Redondo Beach wins. Back in the day, many contestants played it all strictly for laughs. NASCAR teams, of course, have their own unofficial cross-country speed records, though the route is Charlotte, N.C., to either Riverside, Calif., or Ontario/Fontana. NASCAR men did it pretty much out of necessity, the Cup tour schedule being as wicked as it is. These days teams are all much better staffed and there is no such need for speed. "We did it in 35 hours, out to Riverside," one top team owner recalls. "In a six-wheel truck. "We had it all timed out, just where to stop, how to gas the truck fast. And the stop had to be within sight of a McDonalds or Wendy's or Burger King." Let's see, that's about 2,397 miles.....averaging about 66 mph, a bit more actually, considering 55 minutes overall idled for food and gas. How fast? One veteran NASCAR fast trucker laughs and says "Just as fast as your little ol' heart can stand." When Brock Yates, that noted motorsports journalist, first proposed a wildly illegal coast-to-coast race, he called it the Cannonball Baker Sea-to-Shining-Sea Memorial Trophy Dash. In honor of the very first NASCAR 'national commissioner,' a star racer himself in his prime -- in the early 20th century. Baker did several cross-country speed runs, the first in 1915 (11 days, seven hours, LA to NYC), then in 1933 (53-1/2 hours). Yates, just for the fun of it, revived the amazing race in 1971, and 'promoted' several more in the 1970s. His best 'run' covered the country in just under 36 hours. The 1970s' race record was set in 1979, just under 33 hours. The unofficial speed record for such a coast-to-coast run was set in 2006, at 31 hours, four minutes. The record now is 28 hours, 50 minutes, 30 seconds. "One of those guys having trouble isn't likely; two of those guys isn't very likely at all. "But I'm just glad to be in the conversation with those guys....and not people asking about me retiring. "Last week, even with the win, we didn't gain that much on those guys. "It's hard to make up more than 10 points on those guys in any one race, so I think you'd have to be within 10 points going into Homestead. "Those guys make very few mistakes. Unless both have a couple bumps in the road, it's going to be hard to make up 27 points on them. 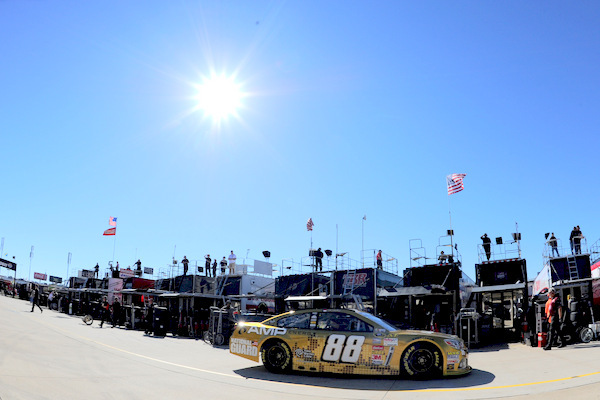 "But it would be pretty exciting for our team if we could go into Homestead just 10 or 12 points out. I think we could put some pressure on them. "But since they repaved Phoenix our record hasn't been that great. We've got our work cut out next week." Actually a better pick to challenge Kenseth and Johnson would be Kevin Harvick, who, remember, is just one point behind Gordon. Meanwhile the Ford mystery continues. Not just that this, to put it mildly, hasn't been a great season for Blue Oval teams, but that none of the Ford guys is raising a stink. -- Ford drivers have one win and have led 428 laps. However there have been virtually no public complaints from Ford drivers about their plight, something that seems very odd. Martin Truex Jr. has had a heck of a roller-coaster season. Truex, the man who helped trigger the Michael Waltrip turnaround when he first signed on in 2010, enjoyed his best season ever last year, and this year things looked even better, with that surprising win at Sonoma in June. But then, well, the last two months have been a struggle. So it was Truex with a very big smile on his face here Friday when team boss Joe Garone made it official that the 34-year-old New Jersey racer will take Kurt Busch's place at the wheel of Todd Berrier's Chevrolets next season. Busch has raised the level of performance of the single-car operation, owned by Denver's Barney Visser. This season, with Busch driving, the team not only made the playoffs but has performed generally at a championship-caliber level. For Truex, who lost his ride with Michael Waltrip when sponsor NAPA bailed out following the September Richmond fiasco, the move to the solid black 78 is a great one. "It's been a roller coaster of emotions, to say the least," Truex says. "It was tough. But I've got my health; I've got great people around me who keep me grounded and focused. I didn't lose too much sleep over it. It all worked out good. "You think about people like Marcy Scott, losing her this morning. You know life is not fair. As big of a deal as this is to a lot of us, it's not the end of the world." Scott, the veteran public relations specialist, died Friday morning after a four-year fight with breast cancer. Truex drove a hard race at Richmond to make the playoffs...only to get bounced in the wake of the Clint Bowyer-Brian Vickers flap. "It was unfortunate the way everything happened," Truex said. "It is one of those things definitely unprecedented. I hate I had to be a part of it. "But that ship has has sailed. Things happen. I'm just very fortunate to have the opportunity to drive for a team of this caliber -- that this late in the season I got that opportunity. 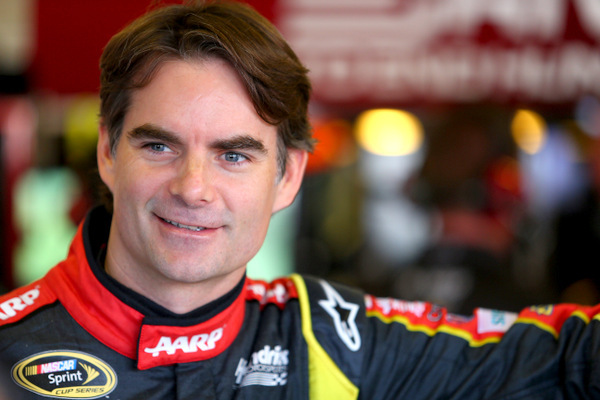 "As unlucky as I got at Richmond, I got just as lucky when this deal turned up." Of course Truex has some big shoes to fill. Was it Busch who made this team a contender? 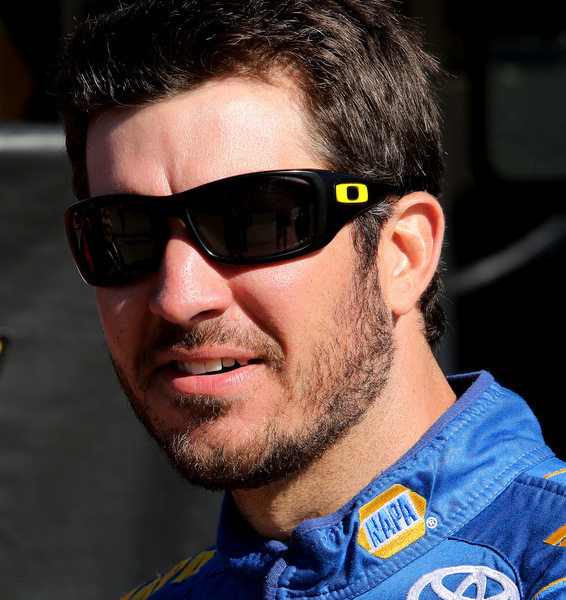 Can Truex keep up the pace? "Everybody here has been impressed with what they have accomplished this year, being a single-car team based out of Denver," Truex says. "It's been amazing to watch them progress. "Everybody has been impressed with their competition program...the speed they have. 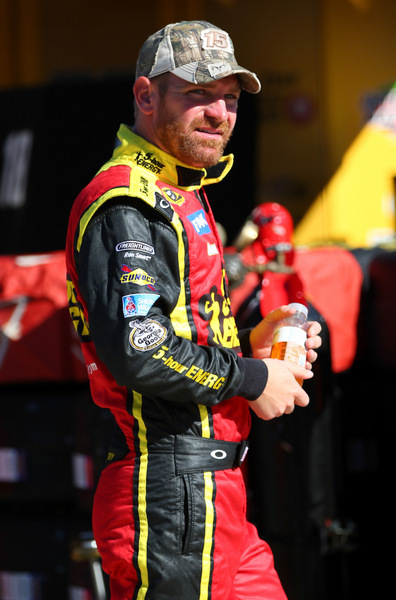 "The (engineering) alliance they have with Richard Childress makes them strong. One of my best friends Ryan Newman is over there; we will kind of be teammates next year, which is really cool. "The advantages of the single-car operation are when they want to build a part and put it on the race car they do it. There is no five or six weeks of going through a system to get it on the car. "Todd Berrier has a lot more leeway to build cars and do things it takes to get ahead of the competition. They have been in the forefront of technology this year." Submitted by Charlie on Sat 11/02/2013 - 06:22.